Water damage and its worst effects are easily avoidable if you take the right precautions and if you contact a reputable and trustworthy water damage Winnetka company like ours with 911 Restoration Chicago who will always be available 24/7 so that we can take care of everything as quickly as possible. Our water removal pros will respond within 45 minutes of your call because when a leak springs up, there is nothing more precious than valuable minutes that might save your home. Water damage services will ensure that your living space isn’t overrun by a wave of category 3 water from a sewage back flow valve failure, or any other form of liquid disaster. Our water damage Winnetka experts will provide you with a free inspection so that you can get an idea of the work ahead and the costs that will be involved in making your home like new again with a fresh start. Our same day service virtually guarantees that you will be able to prevent the worst of the destruction through lingering on a solution. When we arrive on the scene we will immediately begin to pump out the water with our massive sump pumps and black water extraction methods. Then we will employ the latest drying technology so that we can make sure your home is completely dehydrated before you go back to enjoying your life in it. Should you desire to learn if water damage will cause mold growth, then contact our water damage Winnetka experts with 911 Restoration Chicago today! Our water damage Winnetka masters with 911 Restoration Chicago have years and even decades of know-how and experience field testing and researching all of the mold questions that people as us, and in that time we know for sure that mold will undoubtedly grow after water damage if it is left to linger and fester out of control. This is one of the powerful major reasons why our techs are IICRC certified and capable of taking on any mold contamination issue that you have. Our water damage Winnetka crews of extraction professionals know from years of working with homeowners and business owners that mold isn’t on the minds of most people. While it isn’t as grave a threat as the water damage itself, it still presents real and veritable health risks to you and your loved ones or customers if left untreated for too long. If mold spores are inhaled they can lead to extreme congestion as well as respiratory failure in those who have less than normal immune system responses. We are licensed, insured and bonded which gives us an edge over all of the other mold removal services you might find who are fly-by-night operations. We truly care, not just about your home, but your well-being too. If you are breathing in the black spores of a mold infestation or fungus problem, or if you need to know who to call for home water damage repair work, the contact our water damage Winnetka experts with 911 Restoration Chicago today! Our water damage Winnetka specialists have seen everything that the world of water can throw at us, or float our way and in our untouchable level of experience we have mastered our trade craft and become the absolute leaders of the business and this is why you need to contact us for any and all home water damage repair work of any kind. Our master water damage Winnetka technicians are working with all insurance companies, which should make this event as easy for you as it possibly can be since we will even file the claim paperwork on your behalf. 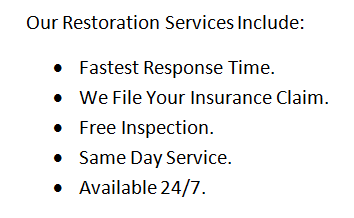 This also allows us to provide each and every one of our amazing clients with a truly affordable price for their comprehensive restoration desires. 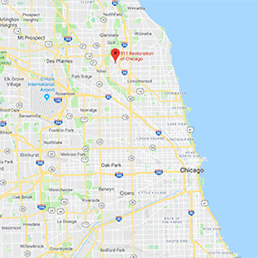 If you have water up to your ears and you want the best water damage restration company in the industry to decidedly solve it for you, then please contact our water damage Winnetka representatives with 911 Restoration Chicago today and we can take care of everything! What Is The Best Water Damage Restoration Company In Winnetka? 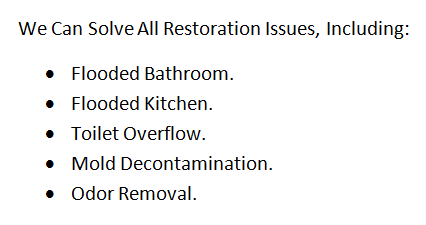 Our water damage Winnetka restoration experts are and always have been leading the edge of the industry every step of the way with over 35 years of experience and this is why you should give us a call if you’re looking for the best water damage restoration company in Winnetka. We always put the customer first no matter what, and we do this because we fully realize how horrible this type of event is for our clients because we’ve been there ourselves. We value professionalism and this allows us to take ever measure we can think of to protect the good people of Winnetka. We are even researching the area and assessing it for any potential cause of future water damage events in our ongoing efforts to vigilantly protect the homes and well-being of all Winnetka residents. As of late we learned that Winnetka is the filming location and even the backdrop for many of the late John Hughes’ best films, such as Sixteen Candles and Ferris Bueller’s Day Off which tore up the comedy scene of their time and replaced it with a new standard of humor that has become a benchmark for future productions. And while residents and businesses of the area are truly prideful of their luminary connection to the coming of age dramedies, they don’t want water damage to tear up their homes and force them into a new lower standard of living, and this is why we are always at the ready to take on anything at all in the form of water damage crises. Should you have water ruining your home already and you want the best in the business to solve the worst of your water troubles, then contact our water damage Winnetka experts with 911 Restoration today!